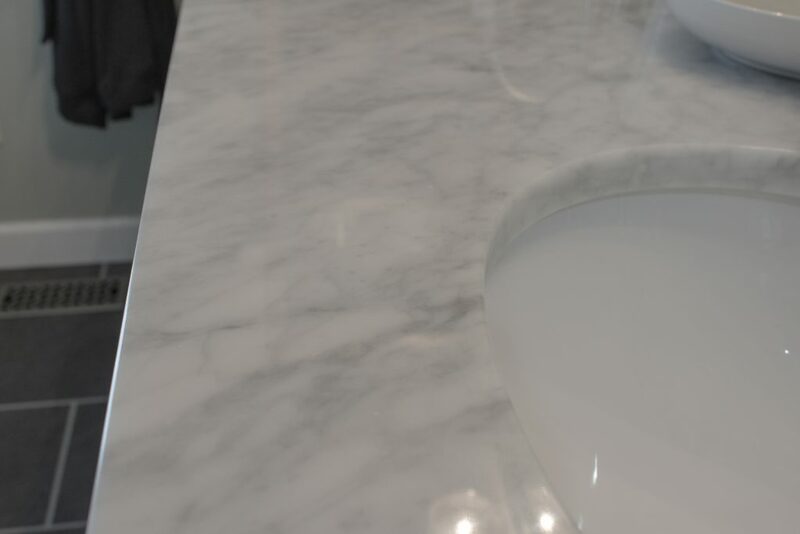 Last month during one of our normal weekend cleaning sessions my husband accidentally cleaned the marble bathroom vanity top with cleaner that is not meant for marble. 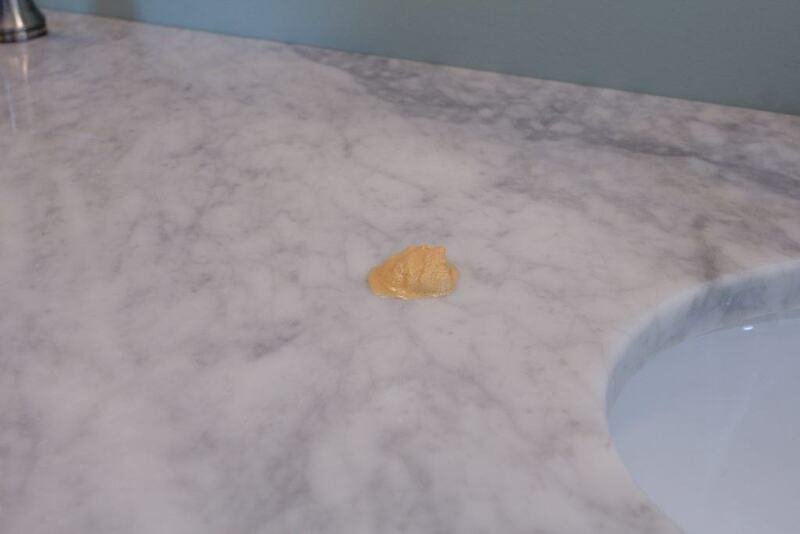 I bet you can guess what happened… Yup, it left etch marks all over our beautiful vanity top. It’s a bummer because we’ve only had the vanity for about a year and we paid a pretty penny for it. 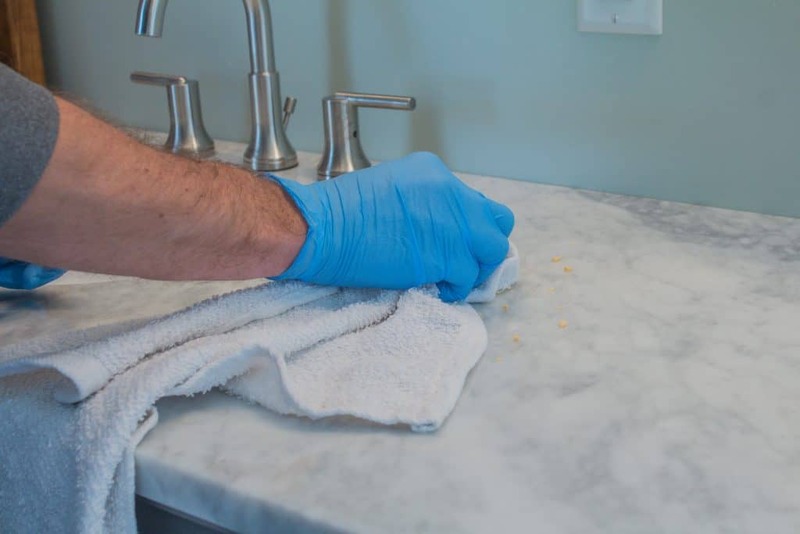 We’re usually really good about only using natural stone cleaner on our natural stone surfaces but sometimes when you’re working fast you accidentally grab the wrong thing. 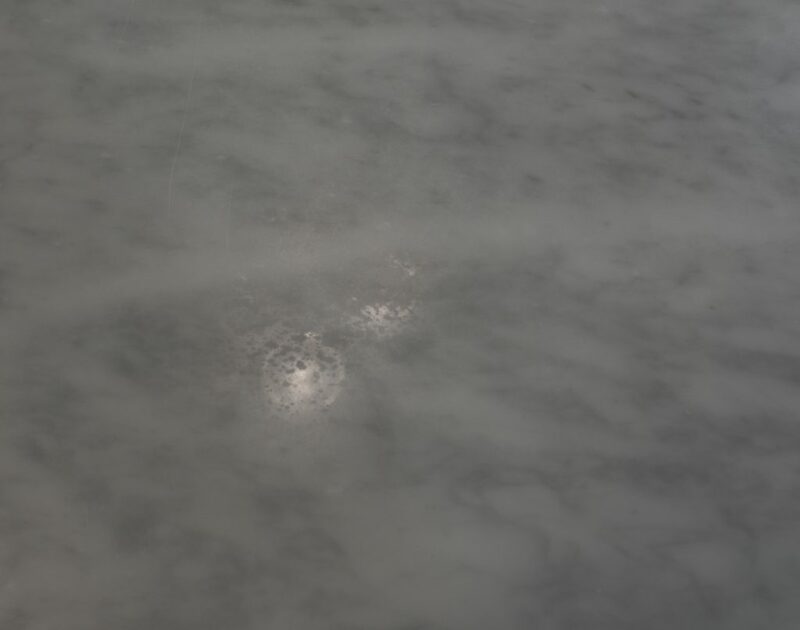 The good news is that we figured out how to remove etch marks on marble and it’s actually easy and inexpensive. 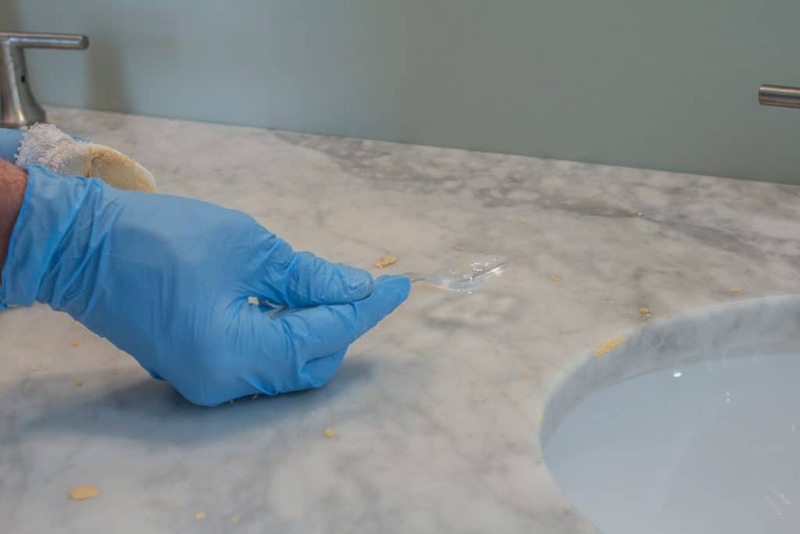 I’ll walk you through the process in case you are ever in a situation where you need to remove etch marks from your marble, travertine, limestone, alabaster or onyx surfaces. Before I show you how we removed the etch marks, here are some photos of the before situation. I had to take the exposure down quite a bit for the camera to pick up the etching but trust me, in person it looked horrible! See the blotching in the three photos below? 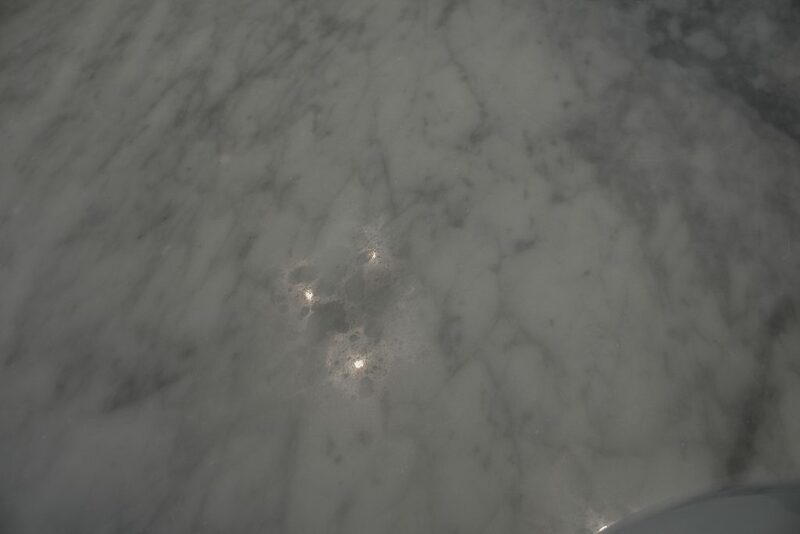 The cleaner was sprayed on the entire surface of the marble counter top so those etch spots were EVERYWHERE!
. Below is a link to amazon where you can purchase it. I was skeptical about this product working but guess what, IT WORKS! I was so impressed with the end result. Detailed directions are listed below. Use cleaner that is designed for natural stone. 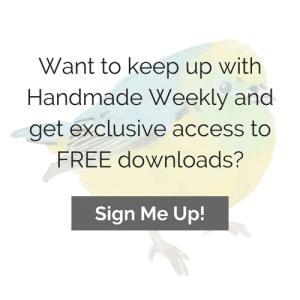 You don’t want to make them even worse by using stuff that will etch the surface.
. Along with that, you will need rubber gloves, a spoon, a small cloth and paper towels. The directions on the container say to use 1 tsp per square foot of area. Since we had to do the entire counter top we applied a spoonful at a time. This stuff may look like peanut butter, but it smells like sulfur. It’s pretty gross. Using circular motions, use the cloth to work the etch remover into the surface. Do this for 2-3 minute intervals over a manageable area (one square foot at most). 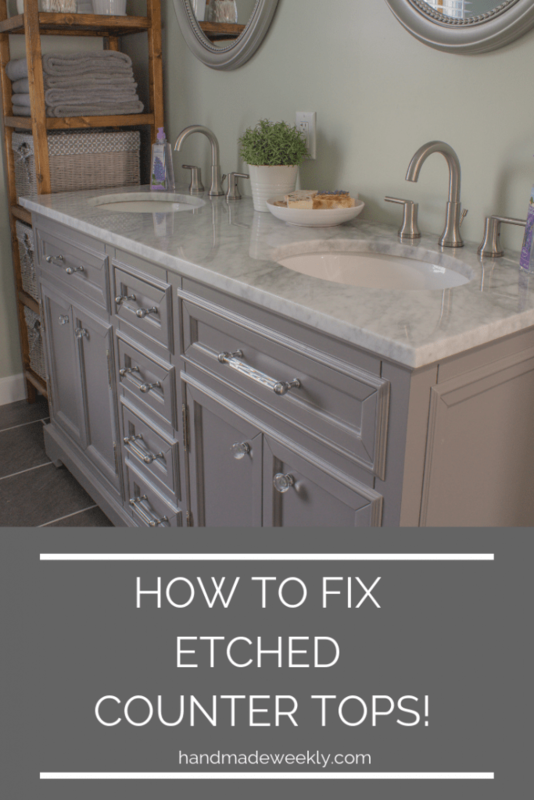 you’ll want to keep the etch remover a toothpaste consistency so add a little bit of water if needed to achieve the desired consistency. 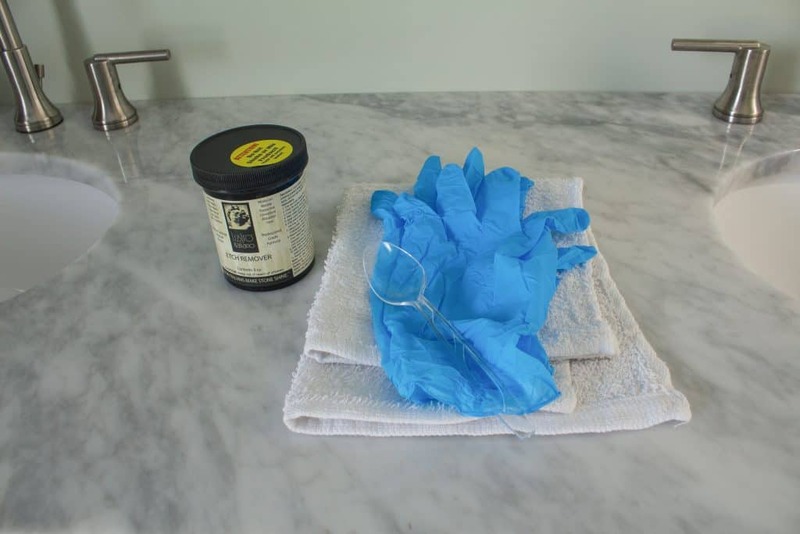 Step 5 – Remove slurry and polish with a paper towel. 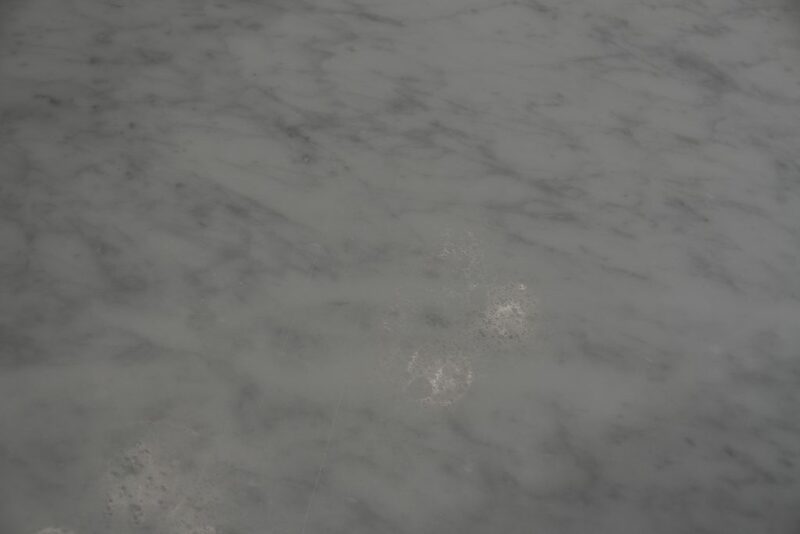 Have you ever had to deal with etched counter tops? What caused it for you? Lemon? Vinegar? A husband trying to be helpful but totally making things worse? Haha, he meant well.